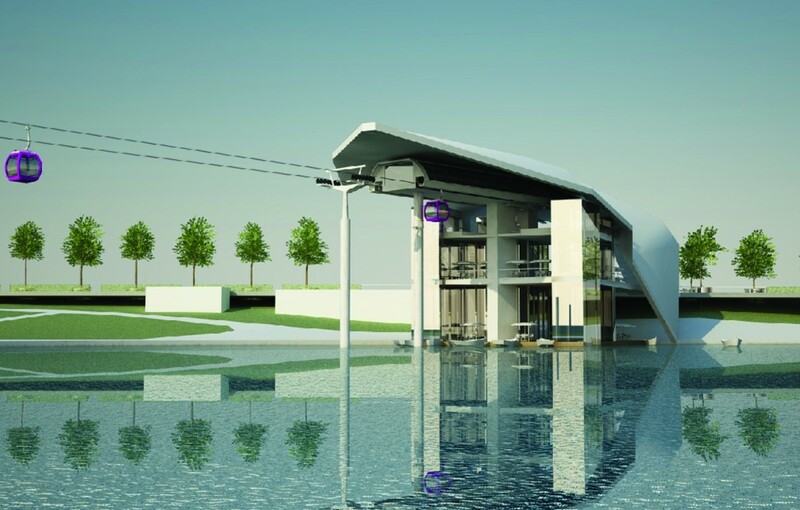 Rendering of a proposed Cable Car system in Bucharest, Romania. A couple of months ago we posted about a proposed Cable Car / Urban Gondola system in Bucharest, Romania. The proposed system was 10 km long with 3 corners and 6 total stations. Were it to be realized, it would be one of the most ambitious cable transit systems ever conceived. Unfortunately, it looks to be more pipe dream than reality. In the two months since our last post, a Romanian colleague of ours looked into the project more closely and found that on October 5th the Bucharest Cable Car Project was rejected by the Technical Commission of Urban Planning from Bucharest City Hall. Objections to the project were wide and varied. Amongst other complaints, the Technical Commission raised concerns about the project’s . . .
impact on surrounding green spaces and national monuments. potential imposition upon the historical centre of Bucharest. route alignment as it would pass over the Chinese Embassy. Basically it seems that Bucharest City Hall has informed Kasol Group (the project’s promoters) to go back to the drawing board and come back with a better conceived and thoroughly researched proposal. Whether such conception or research will occur in the near future is anyone’s guess – but we’ll keep you posted. Big thanks to Iulia for her work on this!